It can be difficult to track where gun control laws start. But that's not the case with gun buyback programs. They can be traced and tracked throughout the U.S. since the 1970s, and they've been widely implemented in countries like Australia under government directives intended to attempt to stymie the flow of crime. But what are they? Where have they been? Why are they used? What is the intended outcome? Are they even effective? 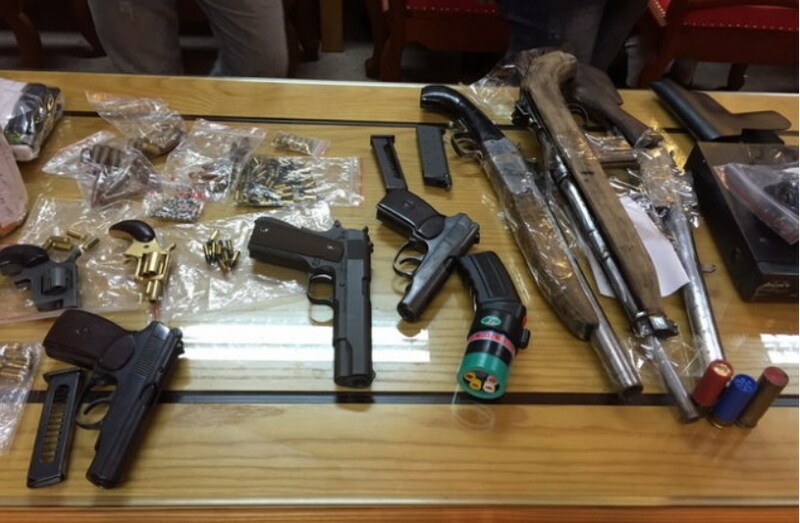 Is the media inaccurately depicting firearms and firearm owners? 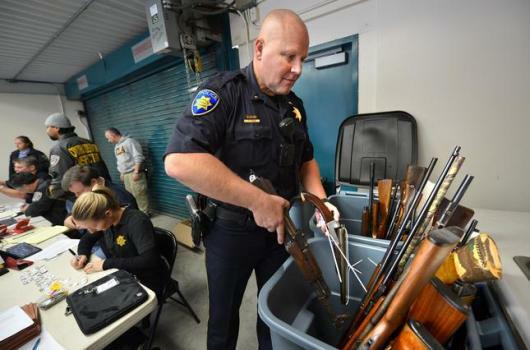 U.S. gun buyback programs are an attempt to reduce the number of civilian firearms in circulation. It's an attempt to lower violent crime rates. Law enforcement agencies will host a program, usually as an event, and purchase without criminal prosecution legal and illegal firearms. As with any gun legislation, it's a hotly contested idea. There are reports that its modern application as a monetarily incentivized program began in Baltimore, Maryland in 1974, according to a 1974 report from The Blade. A few years prior, the Philadelphia police force held a similar program with no financial compensation — not many firearms were turned in. The Baltimore program did not lead to lower crime rates. In fact, according to the report, crime rates increased from 11.1 per day since January, prior to the program that started on August 22, 1974. From that day until the end of September, there were 25.1 per day. Handguns were purchased for $50 — this led to a run on local retailers which sold some handgun models for about $21.95. There was a profit motive, so the program didn't receive any further funding. The Baltimore Police Department had collected 13,500 firearms, costing the city $660,000 in funds, according to the report. The Police Commissioner, Pomerleau, said he wasn't an advocate of strict gun control. Similar programs sprouted throughout the U.S. Their efficacy, however, was and is debated. An academic paper in 1992 analyzed one of Seattle's attempts at this type of program. It compared firearm-related events in the months before and after the Seattle buyback program. "Comparing firearm-related events per month before and after the program, crimes and deaths increased and injuries decreased, but the changes were not statistically significant. Telephone interviews [of 500 participants] revealed broad support for publicly funded gun buy-back programs even among households (61 percent) with firearms … but their effect on decreasing violent crime and reducing firearm mortality is unknown." There have been buyback programs in Arizona, California, New Jersey, Michigan, Massachusetts, Maryland and Washington. They have been hosted in places like churches, have collected tens of thousands of firearms and have been the product of legislation, as was seen in Arizona. House Bill 2455, backed by the NRA and signed by Governor Jan Brewer, removed the point of gun buybacks as a gun control measure. The bill restricted cities and counties from destroying guns that would come into their possession. 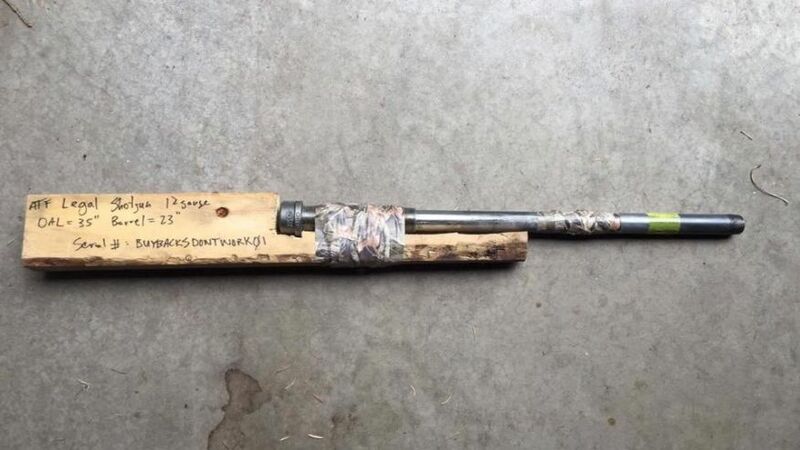 They would have to be sold back to federal firearms licensees, according to media reports. These programs increased in prevalence after their application abroad. There was a subsequent drop in firearm-related deaths in Australia after national gun buyback programs were implemented in the wake of mass shootings. Because of that, it's largely been referenced by legislators and political action groups seeking gun control laws in the U.S. There were two national gun buyback programs in Australia in 1996 and 2003. 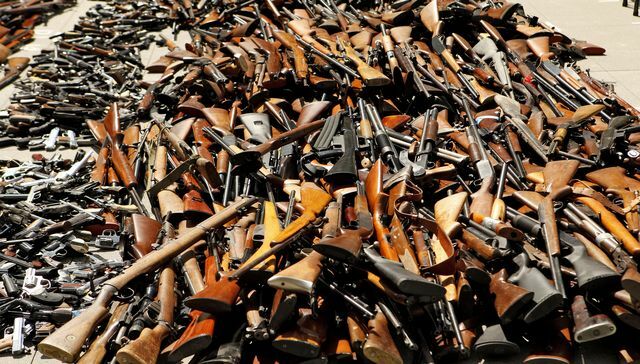 The 1996 buyback costed about $500 million (AUD) — that's about $394.3 million (USD) — and about 660,959 firearms were collected, according to a report in the academic journal Injury Prevention. In 2003, Australia placed even more limitations on civilian handguns, " restricting handguns that can be used for target shooting to a maximum of.38 calibre, semi-automatic handguns with a barrel length of 120 millimetres or more, and revolvers and single shot handguns with a barrel length of 100 millimetres or more," according to a Parliament of Australia report. The 2003 Australian buyback program followed this restriction. Argentina ran a gun buyback program in 2007. About 104,782 firearms were purchased from July 2007 to December 2008. According to a report from Universidad Torcuato, the program's impact on crime is debatable. "Theoretically, the impact of a buyback program on crime and violence is ambiguous. On the one hand, if criminals are less likely to commit a crime when they suspect that the potential victim carries a firearm (Lott, 2000) and if those who hand over their firearms to the program used the guns for protection, then PEVAF would produce an increase in Crime," according to the report. "On the other hand, if access to firearms facilitates crime or increases the probability that a dispute ends up with the death of an individual, then a reduction in the stock of guns can produce a reduction on crime and homicides (Duggan, 2001;O’Flaherty and Sethi, 2010). The cited portions of that statement come from John Lott's publication in the University of Chicago Press, More Guns, Less Crime: Understanding Crime and Gun Control Laws, and Mark Duggan's work titled More Guns, More Crime in the Journal of Political Economy. Mark and John clearly don't agree on a few things. Brazil had campaigns in 2003, 2009, 2011 and 2012. From the 2003 and 2009 programs, 1.1 million firearms were turned in. The 2011 program offered up to the equivalent of up to $190 USD for ammunition and firearms, according to a New York Times report. There were about 40,000 firearms purchased in 2011 and 27,329 in 2012. As it stands, there is debate on their effectiveness. Let us know how you feel in the comments below.